Posted by Peter J. Spiers, Ph.D.
equal with the STS definition of “low-volume,” defined as 200 cases or less per year. As we all know, there are several high-volume to very high-volume cardiac surgery centers across the U.S. 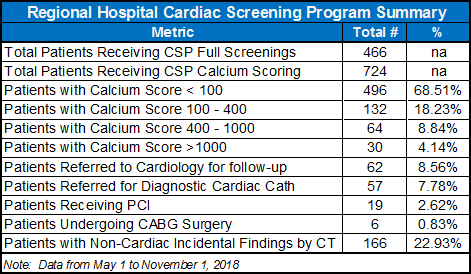 This results in a large percentage of the rest of the cardiac surgery programs having well under 200 annual cases with many providing 100 cases or fewer. 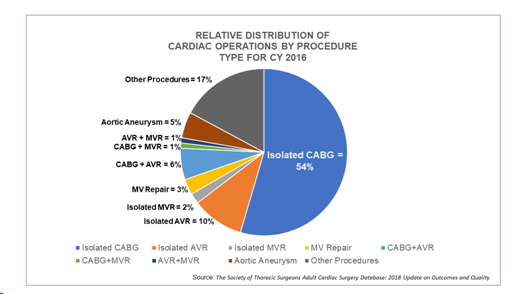 In the most recent reporting year, 80% of total number of programs account for just 54 percent of total CABG volumes! It is extremely burdensome for a single surgeon to cover a cardiac surgery program, even a low-volume program, given the need for 24/7/365 coverage. Therefore, to attract and retain competent second or “back-up” surgeons, low-volume programs often have to pay market competitive compensation, while their available production will most likely be low compared to its peers. The resulting “math” results in a higher compensation per wRVU for employed CT surgeons in the low-volume setting. These and other factors have resulted in a challenging dilemma: What is the most equitable and effective way to address this issue? In Part One of this blog (see Cardiothoracic Surgeon Compensation in a Low Volume Cardiac Surgery (LVCS) Setting: Part 1) we addressed the multidimensional predicate underlying the challenge of CT surgeon compensation in a low volume (LVCS) setting. We examined the diverse nature and operating performance of LVCS programs across the country, the need to thoroughly understand each programs’ specific market dynamics, and the changing clinical, technologic and financial factors impacting the successful maintenance of a profitable, high quality LVCS program. Redirecting/reducing CT volume leakage. We have found thorough market/program analysis that LVCS programs can identify and slow and/or reverse leakage to competing hospital programs including bypass graft, valve and thoracic cases, leading to increased total case volume/revenue. Recognizing cardiac surgery volume, cost, quality and profitability is a multidimensional equation. Depending on the level of well-planned strategic market and business development activities, many programs can improve their case volume and case mix through smarter competitive and growth strategies. This is often overlooked and/or untapped within many LVCS programs. In Part Two of this blog we will present an approach to second CT surgeon compensation designed to address the value inequities inherent in wRVU based payment methodology. Our firm strongly believes the key issue surrounding the second CT surgeon compensation dilemma is to thoroughly understand and develop a measurable “value play” approach. It is nearly impossible to retain a competent second CT surgeon based on a compensation methodology using wRVU standards alone. The “math” simply doesn’t work! So, besides the obvious “cost of doing business” challenge associated with the need to recruit a second CT surgeon, LVCS programs need to identify, quantify and drive the “total value equation.” We recommend hospitals develop and use another “value standard” other than the wRVU approach alone. We recommend that during the recruitment process this approach beyond the wRVU standard be presented in the recruitment job postings and discussed during recruitment interviews so that expectations are clearly understood. It is not uncommon, and we have seen CT surgeons actually augment the hospitals initial set of “value drivers” during the recruitment and contract negotiation period with their own new, fresh ideas. CFA understands paying for second CT surgeons to sit in the doctors’ lounge is not a good thing. While having a second surgeon is almost always needed, LVCS programs can create a methodology to justify and dilute some of this “cost of doing business” through bringing greater, more demonstrable value to their cardiovascular program through measuring and increasing the second CT surgeon’s contributions to the LVCS program via a value-driven agreement! Advances in coronary heart disease (CHD) prevention, diagnosis and treatment has progressed significantly over the past two decades. From primary prevention, risk factor reduction and effective noninvasive early screening techniques, to pharmacologic and interventional procedures, the overall volume of coronary artery bypass surgery (CABS) in the U.S. as steadily declined for several years. Coupled with these preventive, clinical and technologic advances, the proliferation of cardiac surgery programs across many U.S. healthcare markets in past decades has distributed and diluted cardiac surgery volumes adding an additional burden to program viability for many full-service cardiovascular providers. According to the Society for Thoracic Surgeons (STS) registry data, nearly 80 percent of U.S. CABG programs are considered “low volume,” defined as 200 cases or less per year with a large percentage of these having 100 cases or fewer. In the most recent reporting year. these 80 percent of programs account for just 54 percent of total CABG volumes. It is extremely burdensome for a single surgeon to cover a cardiac surgery program, even a low-volume program, so there is likely to be a second surgeon, even though the volumes alone would not support this second physician. To attract and retain competent surgeons, low-volume programs often have to pay market competitive compensation, while their available production will most likely be low compared to peers. The resulting math is a higher compensation per wRVU for employed CT surgeons in the low-volume setting. These and other factors have resulted in a challenging dilemma: What is the most equitable way to compensate employed CT surgeon(s) in a low volume cardiac surgery (LVCS) operating environment? In part 1 of this blog we will address the complex predicate underlying the challenge of CT surgeon compensation in a low volume setting. We will examine 1.) multi-factorial market dynamics and 2.) clinical and technologic dimensions impacting the successful maintenance of a profitable, high quality LVCS program. In part 2, we will present customized, innovative strategies designed to help recruit, retain and compensate CT surgeons in the LVCS setting. Being designated a “low-volume cardiac surgery program” should not be considered a monolithic phrase or situation. Not all LVCS programs are cut from the same cloth. Cardiac surgery volume, cost, quality and profitability is a multidimensional thing. Depending on the level of demonstrable CT surgeon expertise and quality, payer mix and cost-effective post-op care, a program doing 100 surgeries a year can be as, if not more, profitable per case, than many larger volume programs[i]. High quality, cost-effective cardiac surgery can drive significant contribution margins: nationally, according to a recent Advisory Board cardiac surgery profitability study, the average hospital receives a contribution profit per case of approximately $13,700 for cardiac surgery services, and the profit per case can range from $6,700 to $26,350 for Medicare patients. Particularly for hospitals with limited risk-based contracting, these highly profitable procedures may subsidize less profitable (but still important) work in other areas. 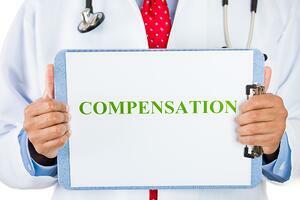 This factor weighs heavily on the LVCS CT surgeon compensation question. CFA’s internal data show that LVCS CT financial resource allocation can be well tolerated in high quality, lower cost settings when a cost-effective program performance model drives enhanced contribution margins. The equation becomes more complex when some or all of these factors are limited or declining. Surprisingly, for many hospitals, CFA has found that through conducting a comprehensive market assessment and program development evaluation incremental volume growth and/or stabilization can occur in many LVCS programs, even in saturated markets. Through the use of robust, multi-factorial market assessments hospitals can: identify reversable volume leakage, strategies for capturing new growth and provide hospitals and cardiac physicians with an open, honest and rigorous CV surgery program cost, quality and program development evaluation. Additionally, developing an operating environment where greater clinical, operational and performance collaboration and incentives help drive improved CV physician and hospital alignment and treatment strategies can help CV surgery volume stabilization, improve financial performance and improve cost-effectiveness. This coupled with improving contribution margin helps hospitals better absorb the often-needed addition and cost of a back-up surgeon in LVCS programs. Case in point, CFA is currently assisting a regional hospital in the mid-west grow its cardiovascular market-share, and in a particular CV surgery volume. This program has experienced an annual CV surgery volume decreas of approximately 40-50 cases over the past 3 years. Increasing PCI volume was one factor impacting cardiac surgery volume as well as significant out-migrating case volume within the client’s secondary service area. With outmigration estimates ranging between 75-125 cardiac surgeries per year, the CV surgery program remained a driver of contribution margin during the past 3 years, albeit in a decreased amount, due to consistently posting some of the best clinical, cost-effective and operational outcomes in the state (and in some cases the nation!). Due to a consistently cost-effective, best practice CT surgery program, the hospital was able to support their primary CT surgeon with a part-time, back-up surgeon for call coverage and time off. As a result of the CFA market assessment and strategic growth plan, volumes are steadily growing, some of the “volume leakage” has begun to re-direct, and interventional cardiology is working more closely with the CT surgeon to collaborate on patient treatment strategies. Currently the hospital is actively developing an expanded second CT surgeon support plan. Coronary intervention has continued to grow substantially in the U.S. In a large portion of full-service cardiovascular programs, the ratio between PCI and CABS is 3:1 or greater. Additionally, for many programs as much as 30-40% of total cardiac surgery volume is cardiac valve surgery or combination valve/CAB cases. With the growth of structural heart therapies including TAVR and Mitra Clip surgery, surgical aortic valve replacement (SAVR) and, ultimately, mitral valve surgery (MVS) has begun to further erode cardiac valve surgery volumes with further declines into the future. According to recent published reports CMS TAVR program requirements may change to become less stringent as the national experience increases and safe, high quality outcomes become commonplace. This too will have a downward volume effect over time on all cardiac surgery programs including LVCS programs. However, CFA believes the need for CABS and cardiac valve surgery will be needed into the near to longer term future. CABS still enjoy a best practice status for many patients with multi-vessel CHD[ii]. Not all valve patients are good candidates for TAVR or Mitra clip intervention. Plus, reimbursement for cardiac valve surgery versus TAVR is higher in nearly all instances due to substantially reduced cost per case. Hence there is even a greater need to understand, optimize and maximize the operating performance of your LVCS. The purpose of part 1 of this blog post was to provide a concise predicate and review some of the key factors impacting the performance and profitability of low-volume cardiac surgery programs (LVCS). CFA believes understanding this framework provides important, baseline insights when addressing the challenge of compensating primary and secondary surgeons in the low volume setting. Not all LVCS program are the same strategically, financially and operationally. Understanding the key internal and external factors impacting your LVCS comprise one part in developing a sound, sustainable compensation model for adding a second CT surgeon in the LVCS setting. In part two of this blog we will address how to establish CT surgeon value beyond the use of wRVU’s when adding a second CT surgeon and creative ways to craft an equitable and attractive CT compensation in a LVCS setting. 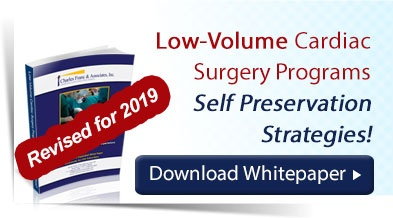 If you are interested in learning more about low-volume cardiac surgery program strategies and options, please download our updated and expanded whitepaper (see Low-Volume Cardiac Surgery Programs: Grow, Consolidate or Divest: Self-Preservation Strategies and Excellence Expectations, CFA’s expanded and updated White Paper). If you are interested in cardiac services strategic development, service expansion and/or other programmatic needs for cardiovascular or other services, please contact CFA at (949) 443-4005 or by e-mail at cfa@charlesfrancassociates.com.